« Cheers to our happy hour! I am all for simplifying things. 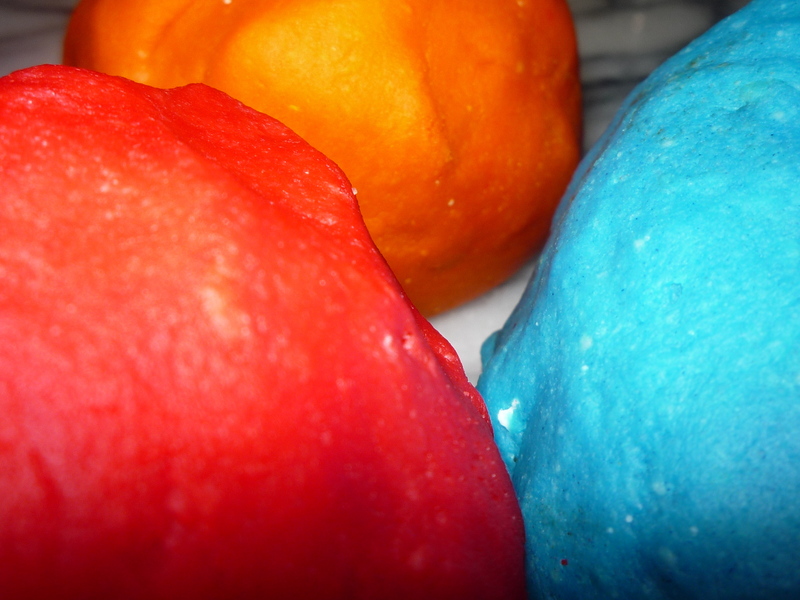 So when I discovered this recipe for playdough recently I gladly gave it a go. The thing that really caught my eye with this recipe is, there is no cooking involved. Unless off course you consider boiling water as one. Another plus point is, I get to knead the dough. Great stress reliever I’d say! And I absolutely love the smooth texture! 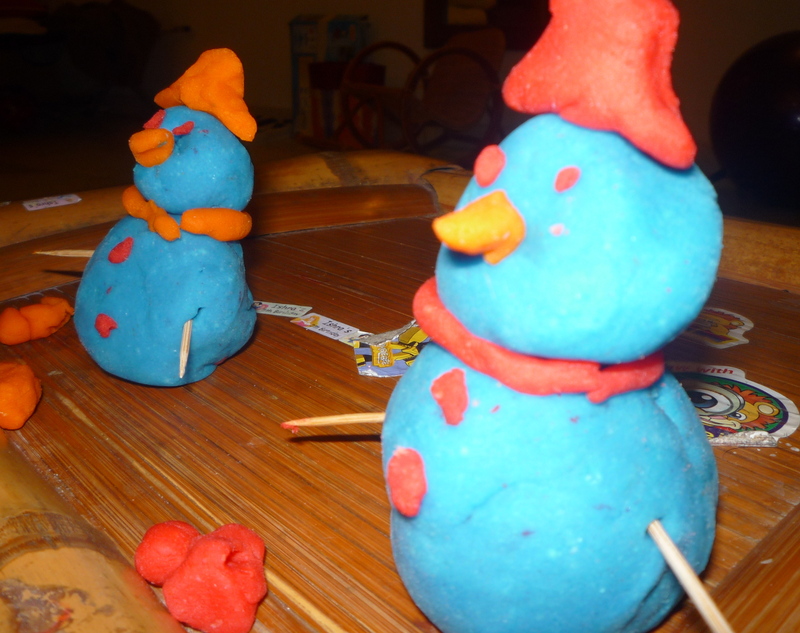 My daughter was so thrilled to see home-made playdough when she came back from school the other day. The the last time we made them was quite a while ago. So both my daughter and son moulded the dough into all sorts of shapes. Blue snowmen’s one of them. Caution: You may want to take extra care when using this recipe with kids around though. As this was my first try, I didn’t get my kids involved in the process. The ingredients once mixed with hot boiling water turns hot. I think you get the picture. This entry was posted on	February 3, 2010 at 1:26 am	and is filed under family, general, kids. i got my kids at the centre to make sculpture of crocodiles ! !